As some of you know, Jacob and I announced in July that we were leaving Amsterdam to travel full-time. For the past few months we’ve been traveling more often than we were home. Being present when we returned to our home base in Amsterdam was hard. It was a logical move to give the full-time travel lifestyle a shot. After all, most of our summer was booked. Between jobs in Sweden, Switzerland and the UK, a few weeks already planned in Greece, a conference in Beirut, and family time in the US starting in Fall, our summer was set up for a lot of moving around. The next few months of our schedule looked amazing — we were embarking on a summer of adventure! Our plan was to book Airbnbs during any gaps in between trips, which would allow us to relax and catch up on work in between. This worked well for the most part, however the ‘gaps’ ended up being more jam-packed and rare than either of us expected. We ran into our fair share of complications as well. For instance, there were times when we’d arrive somewhere new to find the wifi was too slow for the work we needed to get done (Milos). Or that the space was incredibly cramped (London). Or that we’d have to leave early due to dates changing for a job or weather (multiple locations). Or, we’d be with friends or family and feel too guilty to separate ourselves and get work done. Or one of us would get sick from all the moving around. The list goes on and on. Snaps from Milos. We loved it here, but finding Wifi was impossible. We spent 3 hours at a cafe one day trying to upload and send photos to a client. One thing I’ve learned from the past few months of traveling full time is learning when to say no. Jacob and I packed our schedule so full, we didn’t have any down time. I find myself craving more alone time then ever before, because I need to re-charge. We’ve been constantly on the move, surrounded by each other or other people. Jacob and I have learned a lot about each other the past few months. He’s more adaptable and doesn’t mind non-stop group trips. On the other hand, I’m more introverted and have been missing my alone time and having a daily routine. We’ve had a lot of great experiences the last few months, but our decision to travel full-time has been eye-opening in many ways. We’ve both had highs and lows. We’ve pushed our limits and traveled constantly, flying almost every week. We’ve booked Airbnbs and hotels the day before, and a couple times the day of. We’ve spent 24/7 together, usually about 3 feet apart from each other! We’ve been blown away by new destinations, we’ve met friends across the world, we’ve challenged ourselves personally and professionally, we’ve laughed till we’ve cried, and we’ve just plain cried. We spent this month moving out of our apartment and putting everything in storage, all within 10 days. From there, we flew to London to collect ourselves. We used this time to plan our travels the next few months and catch up on work before hopping around. 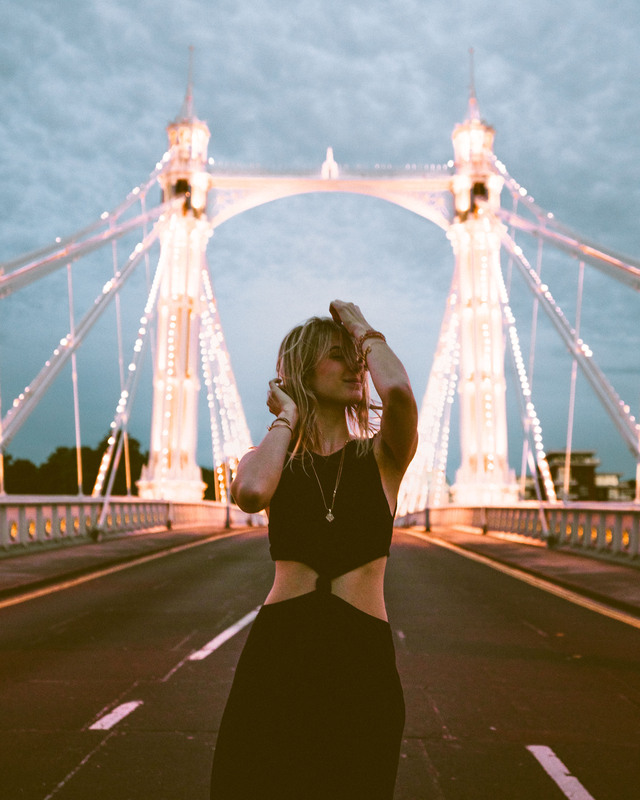 The left photo was shot for a client during our time in London. The right is St Aymes cafe. 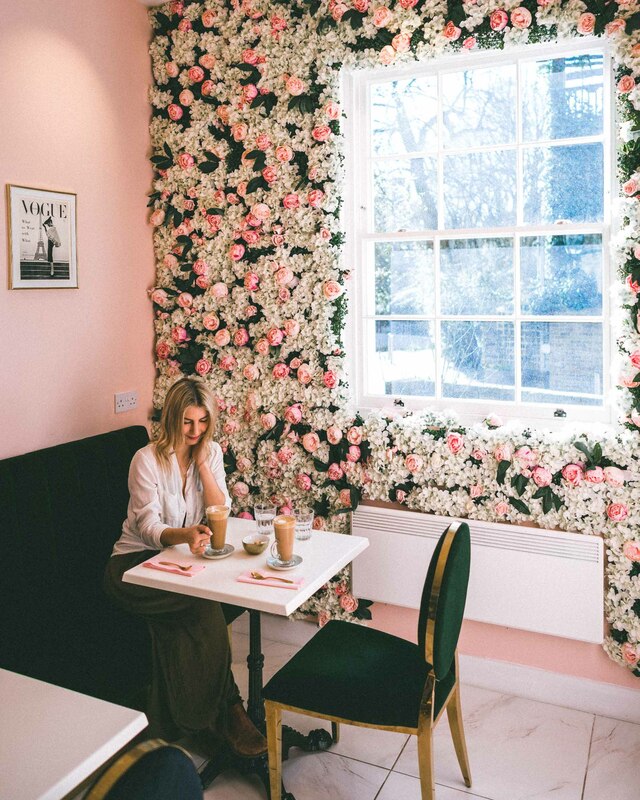 More in our London Travel Guide. West Sweden (5 days) – our first stop: Dalsland. We explored the beautiful west coast of Sweden during a job with the tourism board. 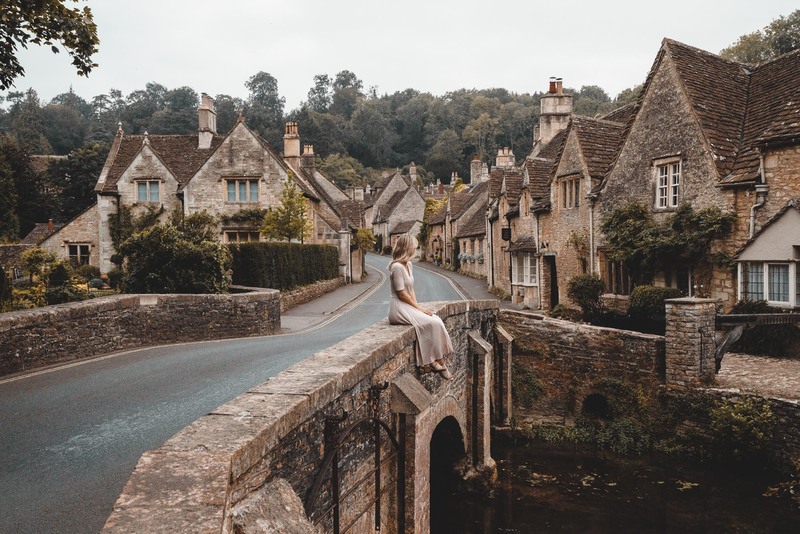 Cotswolds, England (7 days) – our home base became the Cotswolds for a week, thanks to this charming Airbnb. We worked on getting some photo and video editing done from our Sweden trip and visiting small towns in the region. Wales (4 days) – we headed here on a whim since we had never been before. We booked an Airbnb the day before arriving. Our time was spent watching the rain, emailing, and going for scenic drives around the countryside. London, England (2 days) – we booked a couple nights in the city before flying out of London for a shoot. 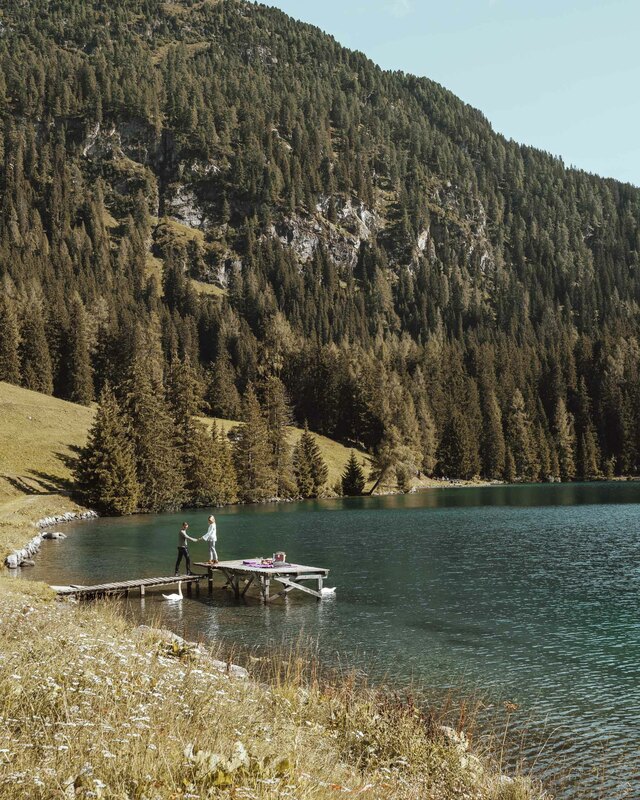 Davos, Switzerland (5 days) – a photo and video shoot with our friends Chris and Danika of No Destinations. Lots of full, back-to-back shoot days. So exhausting, but so much fun. Athens, Greece (3 days) – three days of decompression before heading to our next stop: the Greek Islands. 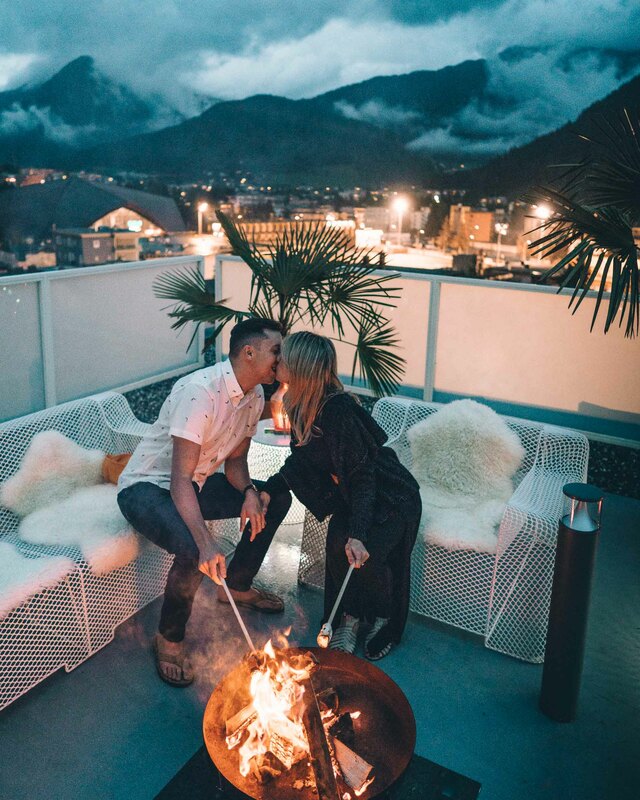 A couple of my favorite photos from our shoot in Davos, Switzerland. Milos, Greek Islands (5 days) – a trip for our wedding anniversary! This one was so memorable. 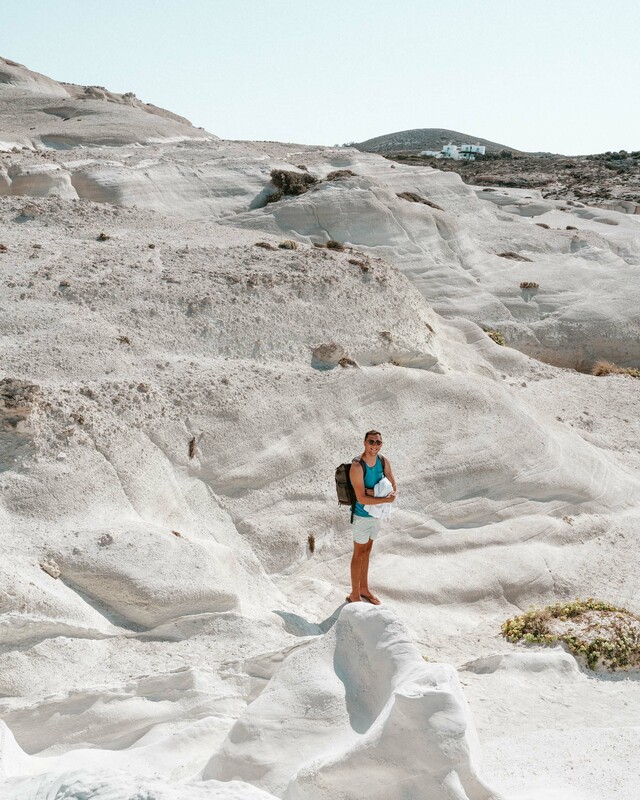 I’d been wanting to see the incredible moonscapes of Milos since I first laid eyes on a photo of this island years ago. Cyprus (5 days) – we flew via Athens to Cyprus to see family who live here. My mom also flew in from California to visit for the first time in 10 years. Paros, Greek Islands (9 days) – back to the Greek Islands for a fun-filled week with friends. More from this trip here. Naxos, Greek Islands (4 days) – instead of going to Folegandros as planned, we spent a peaceful few days here. I started going through photos from our Greek Islands travels, and spent time writing down all the places we visited for travel guides. Athens, Greece (2 days) – back to Athens to catch our breath before flying direct to Lebanon. Cyprus has the bluest water imaginable. 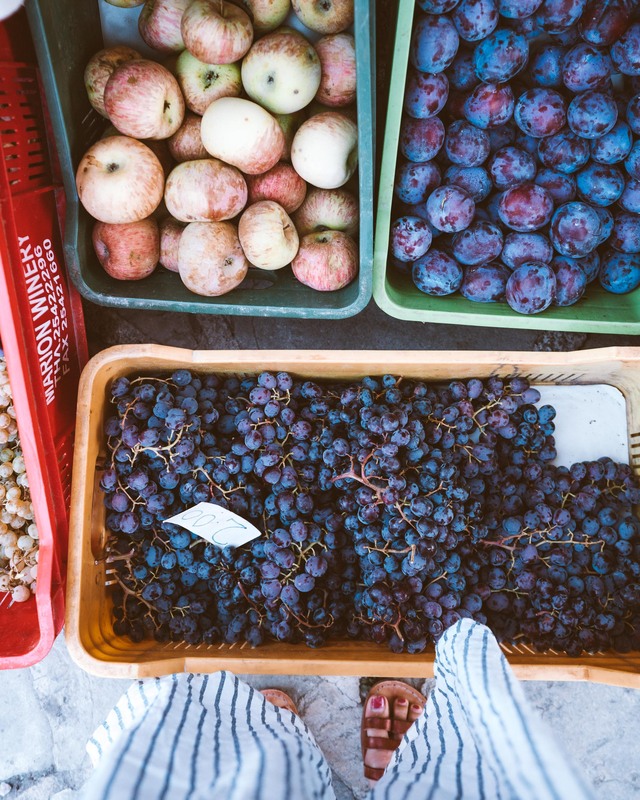 The fresh fruit at each market is amazing. 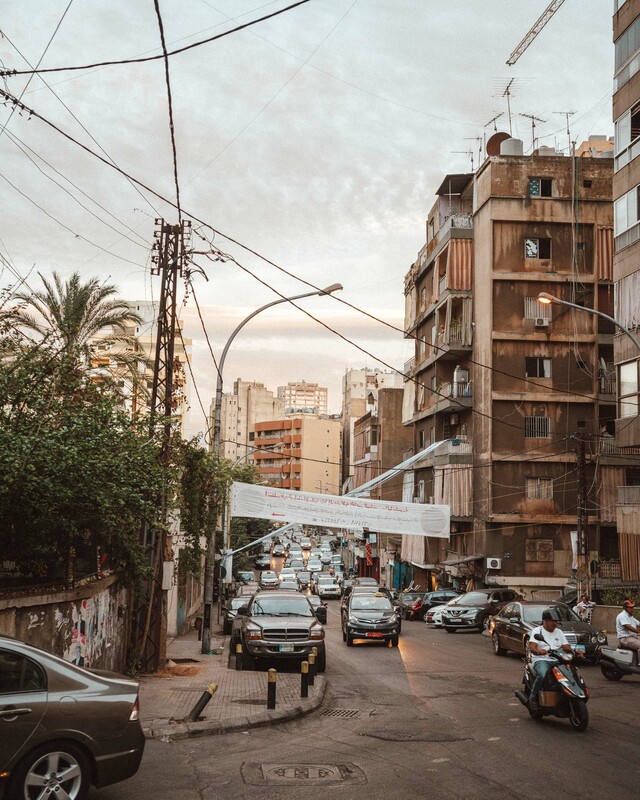 Beirut, Lebanon (3 days) – a multi-day conference with Human Rights Watch. 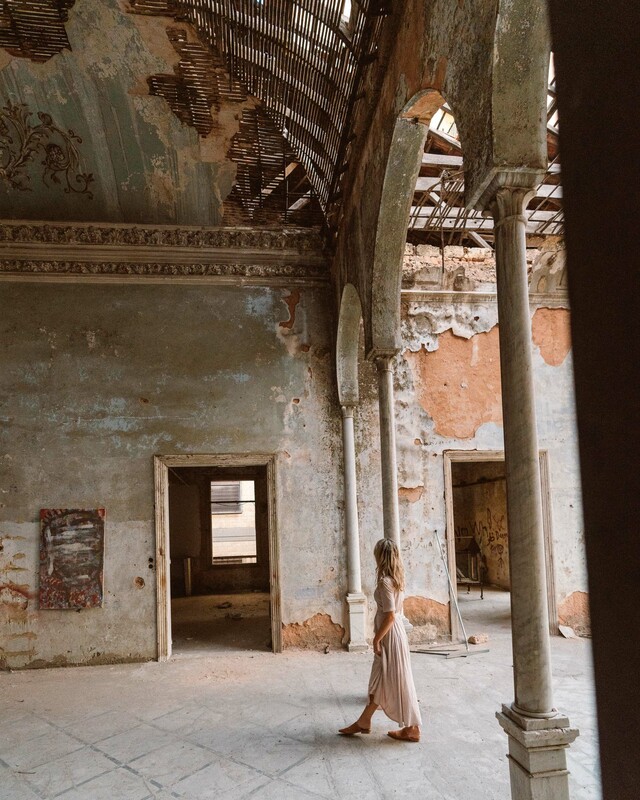 Beirut was fascinating, but we were limited on time so we only had a few hours to explore on our own. Munich, Germany (4 days) – an early morning flight got us in just in time for the last weekend of Oktoberfest to meet our friends from Amsterdam. The festival far exceeded our expectations, it should definitely be on everyone’s bucket list! Aruba (4 days) – our first trip to Aruba with the Aruba Tourism Board. We flew in via Amsterdam since Aruba is actually a Dutch island. We waved hello to our old apartment from the air. Boston, Massachusetts (4 days) – back to the U.S. for the first time in months. We added on Boston since we were curious about the city after hearing great things. Jacob and I haven’t seen a lot of the East Coast, so we spent each day out exploring. Upstate New York (3 days) – family time at a farm in Upstate New York. Nothing but apple trees, fall foliage, and crisp fall air. I spent my time going through our photos from summer (over 25,000!). New York City, New York (4 days) – Jacob went into an office for the week. I joined for a couple days, since it’s so rare for us to have an actual work space. I played catch-up on blog posts and emails. Seattle, Washington (5 days) – a visit to see my best friend, who recently bought a house here. We drove to a pumpkin patch and went trick-o-treating on Halloween with her daughter. Last week we flew out of here to Tulum. 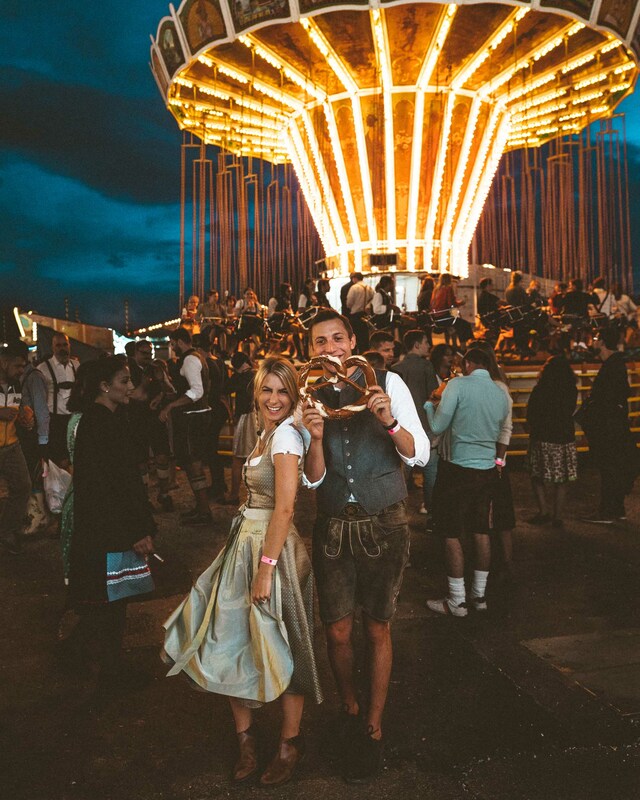 We had the best time at Oktoberfest. I’m pretty sure that between the pretzels, beer, german sausage, fries, candy apples, and chocolate-dipped strawberries I was literally always holding something edible. Thankfully, this month we’ve mapped out two and a half weeks of staying in one place. I miss consistency — waking up in the same bed, and walking to a local coffee shop to start my day. I also miss writing and sharing more personal blog posts with you. While Instagram is great for day-to-day updates, I love connecting here. 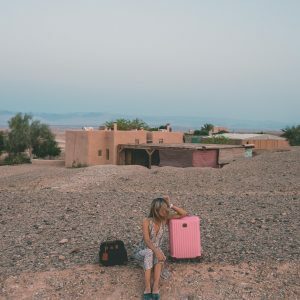 This blog attracts such a positive community of people who love and are inspired by travel. It’s the reason I wake up motivated each day to keep pushing our limits. On the other hand, I’ve found it hard to write about our travels the last few months. I would constantly get inspired by blog posts I wanted to share throughout the summer, but I wouldn’t have enough time to get to writing them since we were constantly hopping from place to place. Rather than struggling to come up with ideas, my personal to-do list grew to about 35 blog posts. Meanwhile, our hard drives filled up with tens of thousands of photos (literally) that I was so behind on editing. Dusk in Beirut. The second photo is an old palace in the city center. We spent 2 hours looking for it after I found an old article online and decided I had to see it. So prepare to see a lot more content coming through here the next few weeks. I’m finally able to share more of our travels with you, and I’m excited to be writing again. I want you to know about what we’ve been up to and all the places we’re excited to share more of! I also want to be more open about the ups and downs that come with this type of lifestyle. Now’s the time to chime in below, shoot me a DM on instagram, or email me if there’s something you want me to cover. Lastly, if you have any suggestions for a city we should make our home base for awhile…leave your suggestion below! We might just end up there. It is so exciting to read about your travels. I did a five month travel myself some years ago and I can relate to what you’re writing about missing “alone time” and routines. Even though travelling for a longer period of time was a blast, I found myself missing family and friends, and the routines. However, while now staying in the same place and working I can sometimes miss travelling, and it is so inspiring reading your blog! Looking forward to more blog posts coming! 😀 It is inspirations for further travelling, and it is such a good ting to get advices on where to go and what to do. Wow! That’s certainly an action packed schedule! My wife and I have been on the road since July. We mapped out some ‘breaks’ from our travels and have sometimes ended up flaking out and watching Netflix. Exploring and seeing new things is absolutely tiring. Creating new memories, seeing new things and enjoying a different environment is absolutely awesome, but does take it out of you! Your schedule looks crazy. Exciting and exhausting at the same time. The longest time I was on the road is one month. I was exploring the West Coast of the US and I went out every day to see as much as I could. By the end of the month I got so exhausted. Since that time I have a full time job and I can go only on shorter trips on my vacation days. Sometimes I miss being on the road all the time but I know I need some me time when I sit back and just relax. I can’t wait to read more about your experiences from the last few months in the upcoming posts. I really would love to see your photos from Boston because I lived there for 2 months in 2015 when I started my au pair year in the US. I’m in love with that city. Yes, it’s definitely worth finding a balance — very rewarding, but exhausting exploring every day! I love your photo’s! Truly a talented photographer! 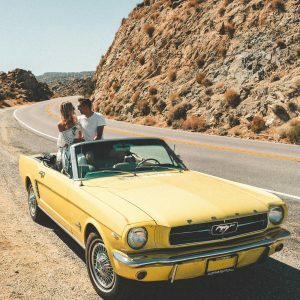 My partner and I are becoming full time travelers in January – we are so excited. I am making a point of slowing down and spending more time everywhere. Our previous trips were always full – only a few days here and there. It’s a hard habit to break when the world is as big as it is! But, I am also an introvert, and I need those days of doing absolutely nothing. Especially when we plan to be on the road for a few years! Hope you find your groove!